Welcome to Amrit Exports Private Ltd.
India is a vibrant democracy. The socio economic conditions are such that a lot of skills have been locked within the fore walls of homes. We seek to unlock this wealth of skills by reaching the villages. India is also a rich country in textiles. We have huge surplus of cotton and have the possibility of weaving the best fabrics in the world. By the way Klopman, the iconic work wear fabric manufacturing Italian company is now an Indian company. We are also situated in the state of West Bengal, which is the source of cheapest skilled labour, even by Indian standards. We have integrated all these strong fundamentals with strong business practices to create a fundamentally strong & valuable business enterprise. 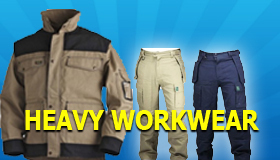 India in general and Kolkata in particular should rate as one of the most attractive destinations for work wear manufacturing. 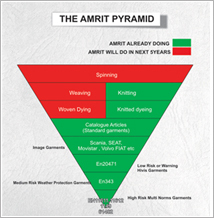 Amrit Exports Pvt. 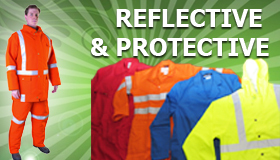 Ltd. specializes in the manufacture & export of all kinds of workwear including safetywear & casualwear. We have ISO 9001:2008 certification by DNV Netherlands. The Government of India recognizes us as an export house. Our Gold Card from our bankers means their acknowledgement of the highest level of financial discipline. We have recently been awarded the third best exporters award by Dun & Bradstreet and ECGC (Nodal agency of Government of India for Export Credit guarantee). We have also been awarded a trophy by the Apparel Export Promotion Council, Kolkata for rendering valuable services to garment trade in Eastern India. In addition we have also received Certificate of appreciation from the same agency. 400KVS transformer and stand by generator For uninterruped electricity supply.